Built in 1912, No. 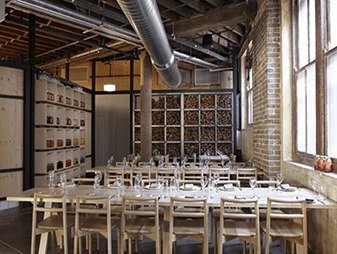 1 Lacy is a heritage-listed warehouse set on a prominent corner site in Surry Hills. Carefully incorporated into the fabric of the original building, 5 retail shops including 250m2 restaurant/wine bar, 230m2 retail shop, 350m2 commercial tenancy, 120m2 café/bar and 230m2 commercial office. Project included full design and documentation of mechanical services.